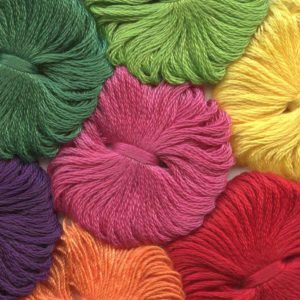 -Order the skeins for the perfect color. Color references are not always a perfect match to the Color Portfolio skeins/poms. -The skeins will give you a generous amount of yarn for lab dip purposes and are the exact same size as in the books. The poms will enhance your presentation boards. -No minimums on skeins or poms. 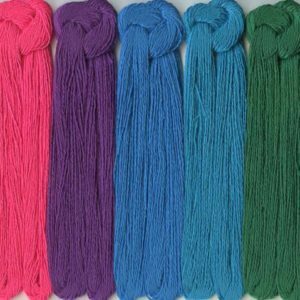 -The cost is $10.00 USD per skein by color. The cost is $10.00 USD for one set of poms by color. On all pom orders you will receive 2 poms per color in a set.